The Schedule 40 Reducer Bushing - Spigot x FPT is great for reducing/enlarging the tubing or pipe size. Reducing the tubing size will increase the amount of head pressure the pump will have to overcome. 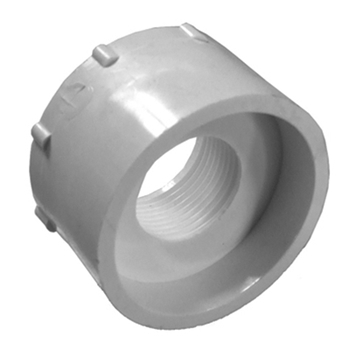 A spigot end is the same outer diameter as the tubing or pipe. It will need to be attached with a slip fitting.